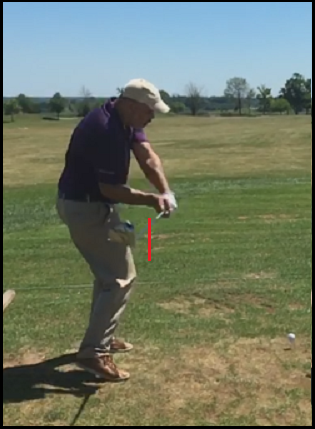 All if takes is to get your proper neutral grip as I’ve outlined you do in the “E = MCS” video, when I showed not only how hand position in the stance can cause hooking, but also how to make it as simple as possible to get a square club face at impact. That means, the toe is pointing up at the “3 O’clock” position, square at impact, and again up at the “9 O’Clock,” as seen above. Pretty hard to send a ball very far off-line if you’re setting up square to your target line (alignment is also key, of course, to good ball-striking) and then getting the square-square-square club face. 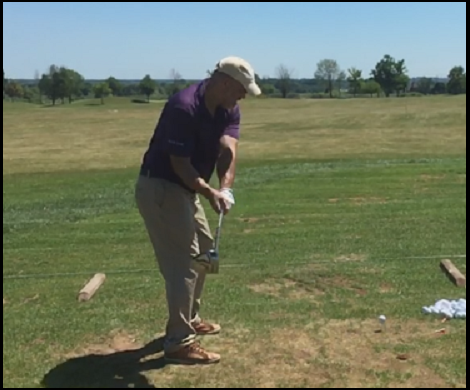 Now, I did explain in the last video that, if you reach the proper position at the top with your neutral grip and your “One Major Move” pivot, you should still be square at impact even if you’re manipulating the club face going back. 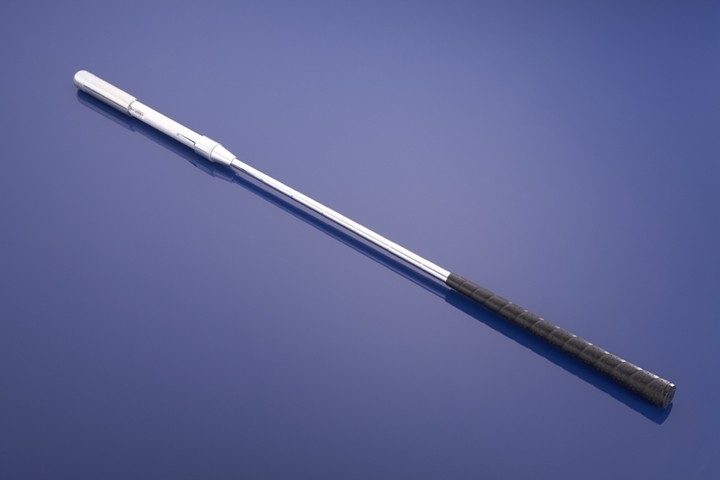 Some people insist on “fanning” the face, others want to “hood it,” and of course the optimal non-manipulation is what I’d opt for, but if your grip is truly neutral, it is very hard to come through impact with anything other than a square club face if that’s how you started, providing you’re not intentionally doing something else. My motto is, keep it simple. That goes for the stance, ball position, pivot, down swing, and of course the grip and hand action. I just purchased a hybrid driver from Thomas Golf. Recently I met an older golfer who had a full set of hybrids by Thomas golf. Have you any experience with those clubs? I can’t say I’ve had much experience with hybrids, R.E. I do have a TaylorMade rescue that I use on long par 3’s or out of the rough at times, but I unfortunately couldn’t tell you anything about Thomas hybrids. Hey Sensei. Haven’t had much time for two weeks to work on my swing. Couple times to the range and using the swing stick but what I have been finding is that I have a tendency to have that closed face on take away. Picked up the habit somewhere along the way. And it’s definitely in the grip as the takeaway we have worked on is effortless. I’ll keep you updated. Maybe we can have another skype lesson as soon as this chaos dies down and I can focus on more important things, like a swing that destroys all my buddies hopes of ever beating me again. Heres a question I’ve been pondering lately. Is there such a thing as swinging too hard? I guess to clarify, I typically slow my swing down because if i go with my natural movement, I’ll be swinging hard enough to roll over my lead ankle. Guess I dont have the same good shock absorber you have! That would likely be due to not fully transferring to the lead foot and/or not releasing the trailing foot, D.L., without seeing your swing. You have to get all the weight onto the leading leg and release that trailing foot to get that action.